Here is a great tasting cabbage recipe that is a twist on the traditional corned beef and cabbage that you may be familiar with. It makes a great meal and is a great way to use up any of those veggies from the garden. You can add to this or change it up however you feel. I have been researching ways to live grain free and I find stir fry’s and casseroles an easy way to get everything you need without overloading with any grains at meals. For the bread lover, you can simply add a dinner roll to this one dish meal. So, if you are looking for a one skillet meal that is easy to make and tastes great then check this out. They are fairly simply ingredients that you can keep on hand at home or even at the cottage. I use a large skillet with a lid, but you can use a large frying pan or wok or even a large soup pot, whatever you have available. 1 x pound of ground meat, I use ground chicken or turkey but ground beef works too or even chopped large sausages. ½ small cabbage sliced or chopped (I try to create long skinny pieces as they will taste like noodles in this meal) even people not thrilled with cabbage will like this dish. this really adds great flavour to any ground meat. Pour in a bit of oil or melt butter and cook the onions for a couple of minutes until soft. Add the meat and break it up as it is cooking. Add the steak spice and some salt and pepper while the meat is cooking, you can add some more to taste at the end. Once the meat is completely cooked (no pink showing at all) then add the can of tomatoes including the juice in the can, and the shredded carrots. Stir well, then add the raw cabbage pieces. It will look like a lot but the cabbage gets much smaller when cooked. I leave the cabbage sitting on top of the meat with the lid on until it starts to cook and soften a bit before trying to mix it into the meat. Once the cabbage has softened you can easily mix it into the meat mixture and it will look like noodles. Cover if you can and let simmer for about 20 minutes or until the cabbage is completely cooked and most of the liquid is absorbed. Stir well and then serve on a plate or in a bowl with dinner rolls for those who are not following the grain free diet. I have made this recipe for years and it is a perfect meal to have for a quick dinner or on those cooler rainy nights and you can change up the flavourings to suit. We would also cook this meal when camping as it is a one pot meal. You can cook it in a large pot as well. You get your veggies and protein in one pan. It is also great re-heated as leftovers the next day. If you are trying to eat grain free, then make sure you are having lots of veggies during the day for the extra fiber needed for digestion. Stir fry’s and casseroles are the perfect way to sneak in lots of vegetables. 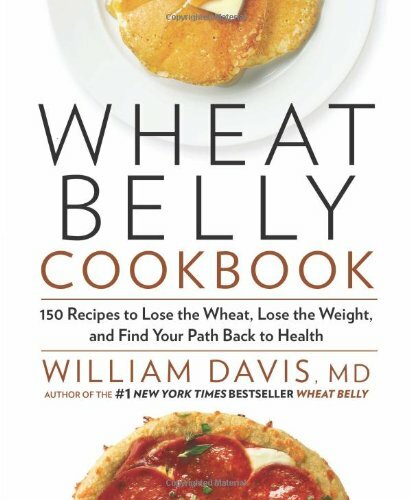 if you are trying to get rid of grains then check out this really cool recipe book. I have read it cover to cover and it is a brilliant book.